Shopping for relaxation tools shouldn't be stressful! The no-worry way to buy soothing sensory items! Everything you need to relax your clients and staff. The money you save will be a load off your mind, too! Shopping for relaxation tools shouldn't be stressful! 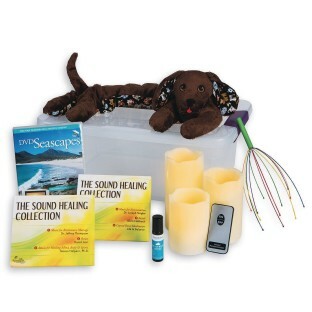 We've taken all the worries out of finding the most soothing sensory items to completely relax your clients and staff. The money you save will be a big load off your mind, too! Help clients unwind and decompress with beautiful imagery, soothing music, familiar scents and cuddly, comforting plush animals!